Last week, while looking into some early research findings about Puget Sound rockfish (Water Ways, June 18), I found an amusing video, one created to encourage anglers to save the lives of rockfish when releasing the fish. The video begins with a talking rockfish (puppet) sitting at a desk and watching a music video. That leads into a conversation about barotrauma, a type of injury to rockfish that results when the fish are caught and brought to the surface from deep water. Barotrauma can be reversed — and the lives of fish saved — by using a device to get the fish back down deep. If you fish in deep water, you probably already know about this device, but I think everyone can be amused by this video and appreciate how humor can help introduce people to a serious topic. The music video, “Rockfish Recompression,” was written and sung by Ray Troll and Russell Wodehouse. Wodehouse is the musician appearing in the video. Those two and others have long performed as the group Ratfish Wranglers, creating funny tunes about fish and related issues. This week’s announcement that the coastal population of canary rockfish had dramatically rebounded got me to wondering what new information might be coming from research on the threatened and endangered rockfish of Puget Sound. Dayv Lowry, research scientist at the Washington Department of Fish and Wildlife, shared some intriguing new information about Puget Sound rockfish that could link into the coastal population. In fact, if limited genetic findings hold up, a delisting of one type of Puget Sound rockfish could be in order. On Monday, the Pacific Fishery Management Council reported that West Coast populations of two groundfish species — canary rockfish and petrale sole — have been “rebuilt” some 42 years earlier than expected. Canary rockfish were declared “overfished” in 2000, and a rebuilding plan was put in place a year later. Strict fishing restrictions were imposed, and experts expected the stock to rebound successfully by 2057. Meanwhile, WDFW and NOAA Fisheries are researching the three species of Puget Sound rockfish listed under the Endangered Species Act. They are canary rockfish and yelloweye rockfish, both listed as threatened, and bacaccio, listed as endangered. Underwater surveys with a remotely operated vehicle in 2012 and 2013 looked for all sorts of bottomfish across a grid laid down on Puget Sound. 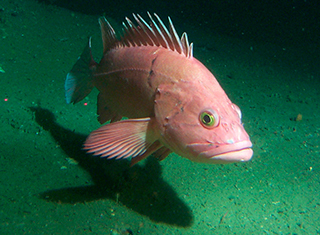 Researchers found a greater abundance of quillback and copper rockfish (not ESA listed) than in the past, and young juvenile quillbacks were seen on muddy substrate — not the place you would normally look for rockfish. While that was encouraging, nearly 200 hours of video at 197 grid points revealed just two canary and five yelloweye rockfish. “That was quite distressing to us,” Dayv said. This year and next, surveys are more focused on rocky habitat, including locations where fishing guides say they have had success catching rockfish in the past. The results are more encouraging, locating somewhere around 40 canary and 40 yelloweye and two bacaccio, Dayv said. “We’ve caught some big fish and some little fish, so the population demographics have not entirely collapsed,” Dayv told me, and that means there is still hope for recovery. Rockfish don’t typically reproduce until somewhere between 5 and 20 years old, so over-fishing places the future of the entire population at risk. 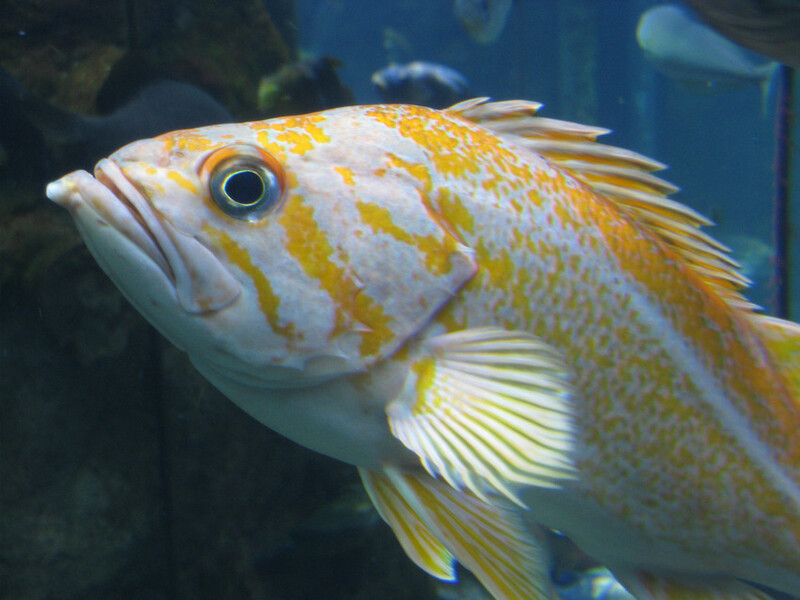 Some rockfish are known to live as long as 100 years. Finding juvenile yelloweyes — “bright red with ‘racing stripes’” — is especially encouraging Dayv said. Genetic work so far is offering some intriguing new findings, he noted. While yelloweye rockfish from Puget Sound and the Strait of Georgia seem to be distinct from those on the coast, the same cannot be said for canary rockfish. In fact, the limited samples taken so far suggest that the coastal population of canary rockfish — those found by the PFMC to be “rebuilt” — may not be genetically distinct from canary rockfish living in Puget Sound. If that proves to be the case, it could have a profound effect on what we understand about canary rockfish and could even lead to a de-listing of the Puget Sound population. Kelly Andrews, a genetics expert with NOAA Fisheries, cautioned that the sample size is small and more results are needed before anyone can draw conclusions. New samples are soon to be examined to see if there are any differences between canary rockfish on the coast and those in Puget Sound. When the Puget Sound rockfish were listed in 2010, researchers did not have the genetic data to define the populations in that way, so they used reasonable assumptions about geographic isolation. Now, the genetics can be factored in. A five-year review is due to be completed this year for the listed rockfish in Puget Sound. If the new genetics information holds up, then the technical review team could propose a delisting of the canary rockfish. For that reason, a long-awaited recovery plan for rockfish is being completed for the most part, but its release will be delayed until the genetic information is conclusive and the five-year review is completed. It would not make sense to come out with a recovery plan for canary rockfish, if the plan is to delist the population. Meanwhile, small areas of Quilcene and Dabob bays have been reopened to fishing for some flatfish. (See earlier news release.) Bottom fishing is generally closed in Hood Canal because of the ongoing low-oxygen problems and its effects of bottom fish. As in other areas of Puget Sound, targeted bottom fishing must take place in less than 120 feet of water, and all rockfish caught must be released. Experts strongly advise using a “descending device” (see video) to get rockfish safely back to deep water, no matter where they are caught. Without that, many of the fish die from barotrauma caused by the ballooning of their swim bladder as they are brought to the surface. 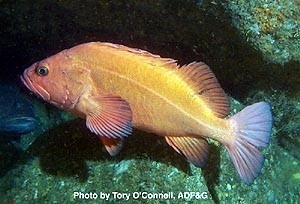 See “Bring That Fish Down” by California Sea Grant and “Protecting Washington’s Rockfish” by WDFW. National Marine Fisheries Service has designated more than 1,000 square miles of Puget Sound as “critical habitat” for rockfish — a colorful, long-lived fish decimated by over-fishing and environmental problems. In Hood Canal, we know that thousands of rockfish have been killed by low-oxygen conditions, and their populations have been slow to recover because of low reproductive rates. Elsewhere, rockfish are coming back with mixed success, helped in some locations by marine protected areas. The critical habitat listing includes 590 square miles of nearshore habitat for canary rockfish and bocaccio, and 414 square miles of deepwater habitat for all three species. Nearshore areas include kelp forests important for the growth and survival of juvenile rockfish. Deeper waters are used for shelter, food and reproduction by adults. Potential critical habitat was reduced by 15 percent for canary rockfish and bocaccio and by 28 percent for yelloweye rockfish. Most of the excluded area was deemed already protected, either by tribes near their reservations or by the military near Navy and Army bases and their operational areas. The designated habitat overlaps in large part with existing critical habitat for salmon, killer whales and bull trout. 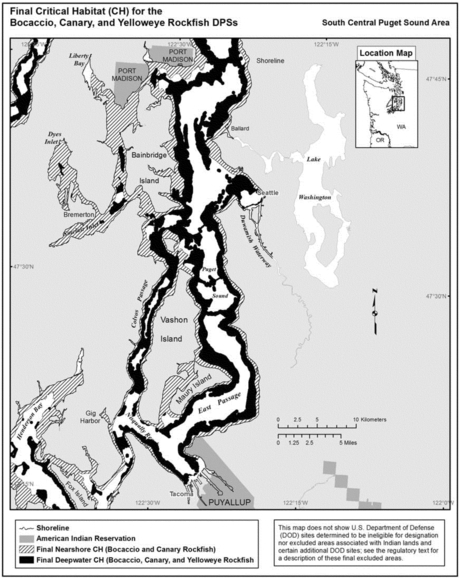 The only new areas added without overlap are some deep-water areas in Hood Canal. Under the law, federal actions within designated habitat must undergo consultations with the National Marine Fisheries Service. Such actions — which include funding or issuing permits for private development — cannot be approved if they are found to be detrimental to the continuing survival of the species. The three species of rockfish were placed on the Endangered Species List in 2010, following a series of petitions by biologist Sam Wright. Last year, the Center for Biological Diversity notified the National Marine Fisheries Service of its intent to file a lawsuit over the agency’s delay in designating critical habitat. Federal and state biologists are now working on a recovery plan. I have not heard whether they still hope to get the plan completed next year. Canary rockfish can reach up to 2.5 feet in length. Adults have bright yellow to orange mottling over gray, three orange stripes across the head and orange fins. They can live to be 75 years old. Bocaccio can reach up to 3 feet in length. They have a distinctively long jaw extending to the eye socket. Adult colors range from olive to burnt orange or brown. Their age is difficult to determine, but they may live as long as 50 years. Yelloweye rockfish can reach up to 3.5 feet in length and 39 pounds in weight. They are orange-red to orange-yellow in color and may have black on their fin tips. Their eyes are bright yellow. They are among the longest lived of rockfishes, living up to 118 years. Conduct a strategic outreach and education program to inform Washington citizens of the value of rockfish stocks and to promote ecotourism. Of course, any listing is predicated upon scientific assessments of the population and risk of extinction, but I don’t recall any listed animal linked so closely to the efforts of a single person. Sam Wright, a biologist who retired from the Washington Department of Fish and Wildlife, first petitioned to list 18 species of rockfish in 1999. But agency officials said he had not pulled together enough information, so his petition was rejected. Then he tried again in 2007, and was rejected again — until after he added more information and asked for reconsideration. Finally, Wright has experienced success — if you can call it that — for these three species. Two other rockfish species under review — greenstriped and redstriped rockfish — did not warrant listing at this time, according to the National Marine Fisheries Service. Commercial fishing years ago has been blamed for the steep decline, and the stocks have never recovered. In this latest action, critical habitat was not yet proposed, and it is unclear what other measures may be taken to protect rockfish. The proposed listing is subject to review and comment before becoming final. For additional information, including a question-and-answer discussion and a 220-page draft “status review,” go to the agency’s Web site for Puget Sound rockfish. See also a Water Ways entry I wrote more than a year ago and a Seattle Times story by Craig Welch.